2 bedrooms 1 bath room. Separate toilet Sleeps up to 6. Cleaning is your responsibility and the if the apartment is not left in a good condition (as you would expect to find it) your cleaning deposit will be withheld. A general housepack is available and can be forwarded to you before you book for your perusal if you are seriously interested in booking. Please email us and it can be sent to you. Wi-fi now available - chargeable at £15per week/per booking. Please advise us if you require the option of wi-fi. The apartment is available all year round. Tignes has a Glacier and there is summer skiing/golf/horseriding/walking and other mountain activities. For Our summer rates please contact us and please note linen is not normally available in the Summer. Andy and I have owned this apartment for over 20 years. With our two children we have been coming to Tignes for our holidays during the Winter and Summer for as long as I can remember. We manage our bookings from our home in Bristol. We have just installed wi-fi new 2016 and this is available as an extra cost - £15 or 20 Euros. Please advise if required. As we said we stay ourselves several times a year so it is maintained to a good standard. Tignes is a high altitude resort with a great coverage of ski runs, including a Glacier which is open in the Summer as well as in the Winter. The Espace Killy area covers you not only to ski in Tignes but the Val D'isere area too. Radiators the heat is pre-set by the building regs and we have no control over so it cannot be adjusted. Close to ski area - a few free lifts otherwise lift passes are chargeable. Can ski on Grande Motte Glacier in the Summer. Would prefer smokers to use the balcony. Ski boots to be taken off at the main entrance to the building and not worn up the stairs or in the apartment please. There is a very good supermarket and Bakery close by and many good bars with good apre ski happy hours and very good restaurants. Lovely property, close to slopes and shops. Quiet although early in the morning the walls were quite thin so we could hear our neighbours. Close to the bus stop. Great kitchen, plenty of storage and lots of places to hang up drying snow clothes! The kids say thanks for the Wifi and especially thanks from me for letting me stay longer on the last day, due to an unexpected change of events. Many thanks for taking the time to write a review. As it was half term I expect the block was busy so apologies for the noise. Yes we have put up plenty of coat hooks around for hanging all the ski gear up. Wifi everyone seems to appreciate and by the sounds of things you enjoyed your stay. We hope you will visit us again. 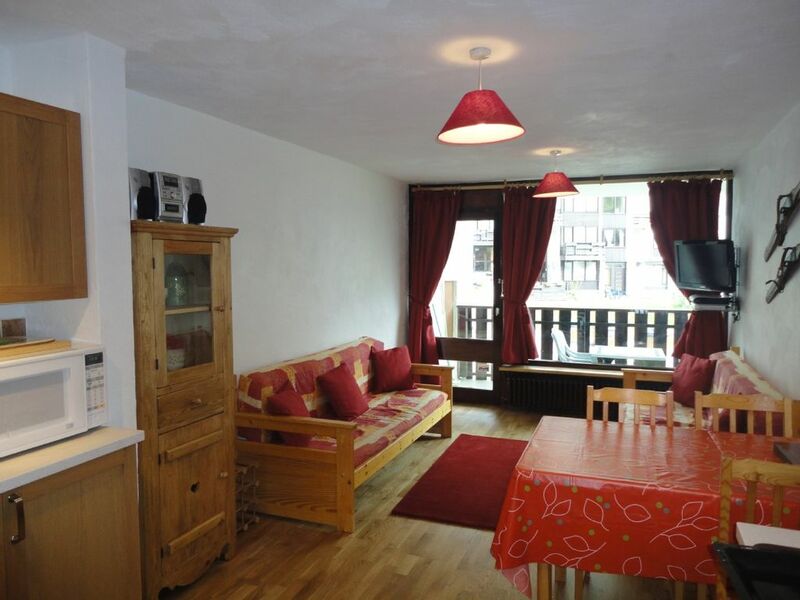 This apartment was the perfect base for a family summer holiday in Tignes. It is just a short walk from the host of summer sporting activities available in Tignes. Plenty of good restaurants within walking distance and the fête du vin took place during our stay. Excellent holiday thank you. Thank you so much for taking the time to post a review about your Summer stay in our Glacier Apartment. Delighted to hear you enjoyed your holiday and look forward to welcoming you back in Tignes in the future Winter or Summer. We enjoyed a great family holiday in the apartment. It had everything we needed and the UK freeview was a real positive for the kids in the evening! Lavachet had all we needed too and the apartment was a stone’s throw from the slopes where you can ski down to the lifts. We hope to be back to stay again soon. Many thanks for a lovely holiday! So pleased you enjoyed your family stay in our apartment. We now have English freeview and French television which should satisfy all our guests. We look forward to welcoming you again another time in Tignes. Most of our clientel are now regulars so if you are looking for school holidays always book early. Many thanks for taking the time to submit a review as I'm sure it will re-assure prospective guests. Great apartment, immaculate, well equipped, great location and really helpful owners. Perfect. You know that sense of trepidation whenever you open the door of a property you've booked online ? Avoid it. Book this apartment. From initial contact to post holiday, comms were fantastic. The place itself is immaculate, really well appointed, great location. Short walks to lifts, bars, shops, hire kit, parking, restaurants. Really cannot fault it, would recommend and sure to stay again when next in Tignes. Well - Thank you very much for such a great review. We use the apartment ourselves regularly and every trip try to attend to any DIY that needs attending to and replace old or damaged items to keep the standard high but absolutely over the moon that we surpassed your expectations. We appreciate all your comments and hopefully welcome you and your friends back to our second home whenever you want to visit Tignes again. Lovely place to stay, very convenient for the lifts, the shops (wonderful bakery! ), nice restaurants and bars. 5 stars! Ideal for family ski holiday. Thanks very much for the five star rating and taking the time to write a review. Yes we are conveniently situated and over the years have had many families return year on year. So pleased you enjoyed your stay. The property was ideal for our stay and facilities were great. shopping so close by and lifts within minutes of the door, block was quiet and the balconies provided great views. Would have liked to have stayed longer. Delighted to hear you would have liked to have stayed longer and that you enjoyed the views from our apartment. Thank you for leaving a review for us and future guests. The apartment is in the Lavachet area of Tignes, France. Close to the Chaudannes & Paquis Chair Lifts.Practically ski in and out Five minutes walk from the Centre of Tignes with a free bus service. Public underground car parking nearby - fee paying. To avoid disappointment please always pre-book especially at peak times. We can send you a link to do this. Please note parking is drop off only outside the apartment block. There is a damage deposit of £150 required There is a cleaning deposit of £50 required Please contact me direct for bank details for any additional requirements if they haven't been added to your Home Away invoice. Both the damage and cleaning deposits are of course refundable on your return provided the apartment is left undamaged and in the same clean condition as when it was handed over to you both payable 8 weeks before your holiday Should you want Wi-Fi available during your stay there is an additional charge of £15 per week or 20 Euros. Please advise us if you require this to be added to your invoice. Also if you wish to hire towels Tignes Angels will need your order at least one week before your holiday please contact Vikki direct. Prices range from £550 in the summer to - £1,300 peak times in the Winter per week per apartment (Glacier Appt). Last minute bookings we can sometime discount so please contact us direct.